Apple will more than double the number of carriers that support fast 4G LTE data service for its flagship iPhone 5 next week, with 36 new LTE carriers joining its existing pool of 24. When asked about "the pace of LTE build outs across the globe, in Europe or parts of Asia" and how that could have an impact on Apple's iPhone business as LTE capacity becomes more available, Apple's chief executive Tim Cook outlined big expansion plans beginning next week. "Today we have 24 carriers around the world that provide LTE support for iPhone 5. Those are in countries like the US, Korea, the UK, Germany, Canada Japan, Australia and a few others," Cook said. "Next week," he added, "we're adding 36 more carriers for LTE support. 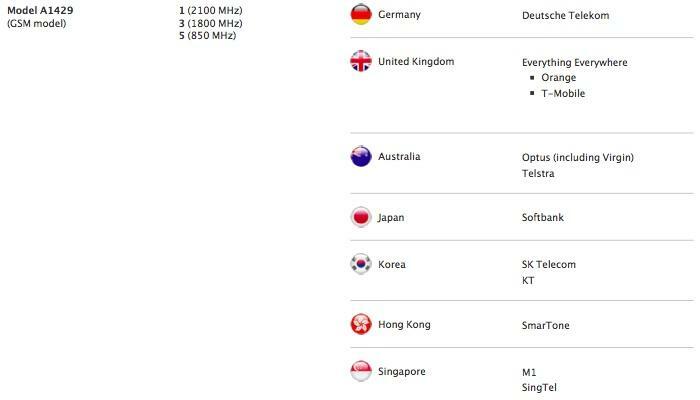 These carriers will be in countries that we are not currently supporting LTE." Cook specifically noted new carriers "in Italy, Denmark, Finland, Switzerland, Philippines, and also several middle eastern countries," pointing out that "if you look at the total of all of these, the incremental subscribers in those countries it's over 300 million." That subscriber total of the 36 country expansion is just over 10 percent larger than Verizon Wireless, which is currently the world's largest LTE carrier, with about 257 million subscribers. Verizon just announced having sold 9.8 million smartphones in the winter quarter, 6.2 million of which were iPhones. In addition to carriers supporting LTE, Cook also drew attention to iPhone 5's ability to work with other advanced data networks, noting, "as you know iPhone 5 also supports other ultra fast networks like HSPA+, with downloads up to 42Mbps, which is 3 times the speed as iPhone 4S." Cook concluded his comments on global carrier expansion by saying, "we feel really good about the situation we are in, particularly with these adds next week." Apple first launched LTE support one year ago for its third generation iPad introducing a Retina Display. Last September, Apple launched iPhone 5 as its first LTE phone, expanding LTE and HSPA+ support to new carriers globally. Apple currently sells three versions of iPhone 5 (and new iPad 4 and iPad mini models equipped with LTE mobile data): a model that works exclusively with American AT&T and Canadian carriers using LTE bands 4 and 17; a model supporting CDMA carriers Verizon and Sprint in the US and KDDI in Japan, using LTE bands 1,3,5,13 and 25; and a third model supporting LTE bands 1, 3 and 5, sold to subscribers in Germany, the UK, Australlia, Singapore, Hong Kong, Korea and Softbank in Japan.